If anyone deserves love, it’s her. The words that came out of her best friend’s mouth. The words of her daughter’s toast. There wasn’t a single person there who disagreed. Sandra and Jamie deserved each other. Deserved love. Deserved to have a partner, a best friend through life’s troubles, through good times and bad. As Angie and Priscilla toasted their friend and mother respectively, everyone celebrated alongside the happy couple. These two deserved it. A perfect day. A day surrounded by family and friends, their pastor and community in a beautiful private estate Granite Bay wedding. A blessing over the food, a blessing over the marriage, and a blessing over the night set the tone. No one was more thankful for this day and for everyone’s love and hard work to make this day come true than Sandra and Jamie. Surrounded by friends, children, and family, these two had the perfect day. Sandra and Jamie, Thank you. Thank you for showing us what patience looks like, what hard work looks like. What love looks like. What community looks like. We’re so thankful that you invited us into your community and let us share your special day with you. We enjoyed capturing the moments, witnessing community and the unity candle, tasting the delicious dinner, and rocking out to the Cupid Shuffle on the dance floor. We love your attention to detail, the tasty desserts, your gorgeous flowers, and most importantly the love that radiates from you two. Thank you for inviting us to be a part of something truly magical. See more wedding fun here. 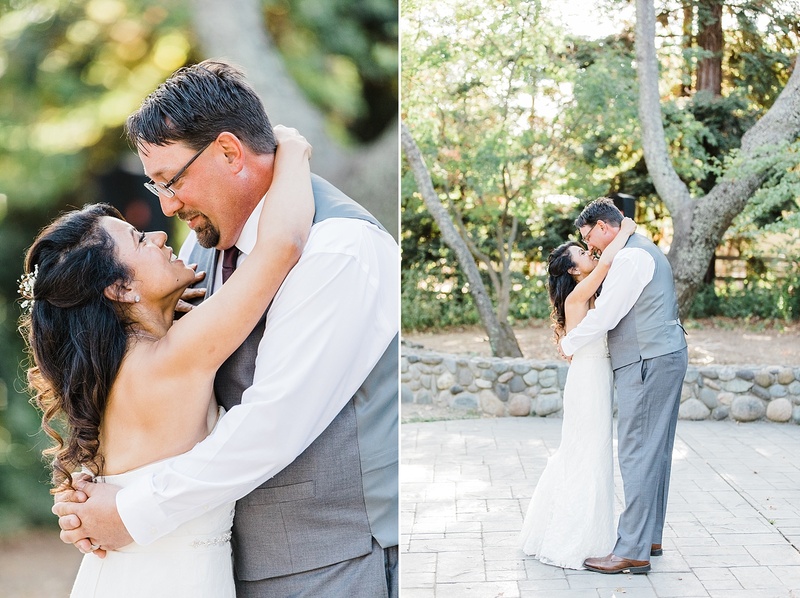 Interested in us photographing your Granite Bay wedding? Contact us for our welcome wedding guide. We’d love to chat with you about our wedding collections and being a part of your special day! We seriously can’t wait to hear from you!